If you are interested in getting help from a professional cleaner for all your cleaning jobs, whether in the house or in your office, you have to come to our company. We promise to get the job done the right way, no matter how long it will take us. We are known for our cleaning services in W11 Notting Hill and we would be honoured to help you improve the condition of your home or office. We are 100% professional, responsible and effective. You can count on our company. For more information, send us an e-mail or give us a call. 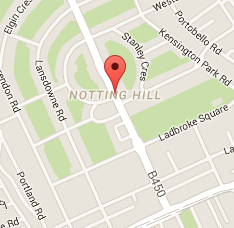 It has to be said that our cleaning services in Notting Hill are carried out at competitive rates. You are going to love our prices. We promise that they will be within your price range. We believe there is a good price-quality ratio at our company. 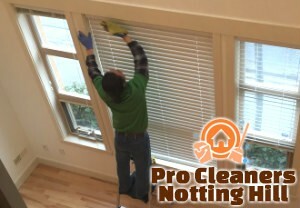 The cleaning services that we provide in W11 are of good quality. Hence, the pricing is competitive too. In a word, it’s something you can afford. Each package has a different price. If you need more details about that, you should contact our assistants and get more information from them. Some of our cleaning services can be provided on a regular basis, which means that the price you will have to pay, will be lower if you choose the regular option. For example, office cleaning and house cleaning. If you need occasional cleaning, whether for your home or office, we will charge you per work done on the premises and depending on how big the property, you may get a great price. There are different ways to make payment. You can pay before the service is carried out or after that. Let us know which option you prefer. We are looking forward to your call.